The post Deciphering Elevated Liver Enzymes in Dogs by Dr. Ernie Ward appeared first on Dogster. Copying over entire articles infringes on copyright laws. You may not be aware of it, but all of these articles were assigned, contracted and paid for, so they aren’t considered public domain. However, we appreciate that you like the article and would love it if you continued sharing just the first paragraph of an article, then linking out to the rest of the piece on Dogster.com. There are few things in veterinary medicine more complex — and confusing — than a dog’s liver function. Deciding which liver tests are needed and decoding the multitude of serum chemistries and biomarkers can prove challenging. Once the results are complete, deciphering if an abnormal liver test is actually, well, abnormal often creates further diagnostic drama. And by drama, I mean one story involving elevated liver enzymes in dogs … and a dog named Dudley. 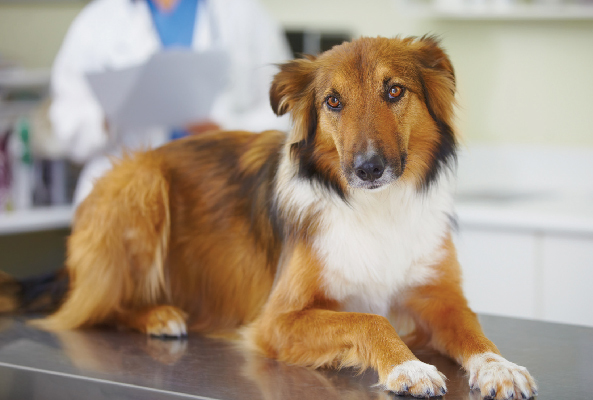 What do elevated liver enzymes in dogs mean? Photography ©PeopleImages | Getty Images. Elevated liver enzymes in dogs typically indicate liver damage. Research shows about 39 percent of healthy and sick dogs will have increased ALP and 17 percent high ALT. And this is where it gets confusing. Elevated liver enzymes in dogs don’t tell us what is specifically wrong, if the problem is active or happened in the past, or even if the liver is the problem (certain medications and other medical conditions can produce these enzymes or chemical “look-alikes”), leading to potential head scratching. The importance of abnormal liver tests is as a signal for further investigation. Which brings us back to Dudley. Many senior dogs will have high ALP values on their screening tests. If the patient is healthy otherwise, I’ll often repeat the liver tests in six to eight weeks to see if the elevation persists or worsens. We carefully investigate if any medications, herbs or nutraceuticals could cause the abnormal liver tests. The majority of dogs with increased hepatic enzymes will not have liver disease, and those with mild changes may benefit from switching diets or adding nutritional supplements. That’s exactly what I told Dudley’s owner. After a few minutes, we returned to Dudley’s elevated liver test and agreed to monitor him closely for vomiting, diarrhea, lethargy, bruising or discolored skin spots, spots of blood in his stool or urine, or loss of appetite. We’d repeat the liver tests in six weeks. If the values were still high, we’d consider performing a bile acid study or ultrasound and liver biopsy. What if those elevated liver enzymes in dogs continue to rise? Six weeks later, Dudley’s ALP had risen. There were a couple of other subtle indicators that suggested this could be a potentially serious hormonal disease, Cushing’s syndrome (hyperadrenocorticism or HAC). These were normal questions from a dog owner confronted with the puzzling data that goes along with elevated liver enzymes in dogs. Maybe the problem was Dudley’s liver, his adrenal glands or something else. Something was causing liver enzyme elevations, and we needed additional tests to discover it. “Tests, tests, more tests! Same as my doctor! All they want to tell me is how sick I am!” I noticed a tremble in her voice. “I’m sorry, but I can’t make a decision right now.” And she was gone. Later that day I received a call from her daughter. Dudley’s owner had been diagnosed with early-stage cancer after losing her husband to cancer five years ago. Her daughter expressed how important Dudley was to her mother and to please do everything possible to help. We agreed to Cushing’s syndrome blood tests and a diagnostic ultrasound and liver biopsy a few days later. The cause of his liver elevations wasn’t cancer or hepatic failure, but Cushing’s syndrome. I didn’t recommend any specific treatment because he wasn’t experiencing symptoms of HAC. Unlike many serious liver diseases, HAC progresses slowly, and many dogs never require specific treatment unless urinary problems or diabetes develops. I recommended omega-3’s, SAMe and turmeric, along with blood and urine tests every six months. If Dudley’s health or tests worsened, we would begin medical HAC treatment. It was never necessary. Dudley and his owner thrived for another two years until they moved to live with her daughter. A year later I received a card postmarked Ohio. The owner’s daughter wrote to tell me her mom had passed away a few months ago and Dudley followed a couple of weeks later. When I finished the letter, I reflected on the importance of our animal bonds and how the often confusing — and complex — world of veterinary medicine means so much to so many. Thumbnail: Photography ©BraunS | Getty Images.